Retail - Shred Wise Inc.
Shred Wise Inc. offers affordable and reliable document destruction to retailers, restaurants, and other service-based businesses across Orange County. These small businesses are required to take the same measures as large corporations to abide by current local and federal privacy laws. This translates to creating, implementing, and managing a records retention schedule; training employees on what type of information needs to be kept secure; setting up a method for storing sensitive data securely; and having all protected data shredded properly. To make this process as easy and convenient as process for your Orange County business, call Shred Wise today. The experts at Shred Wise have years of experience working with commercial clients from a wide range of industries and understand the substantial challenges they face in trying to comply with today’s privacy laws. To help them meet the strict document storage and destruction requirements of current legislation, we provide customizable on-site and off-site shredding services. These services are available on an as-needed or regularly scheduled basis, and automatically follow the best practices recommended by NAID, the National Association for Information Destruction. As such, all of our shredding services feature high-capacity pierce and tear mobile shredders, thoroughly screened and trained staff, the use of our secure shred consoles and bins, and exceptional customer service. We have careful protocols in place to ensure that our shredding process is as secure as possible, and recycle 100% of all shredded paper. We also invite our customers to witness the destruction process and issue them a Certificate of Destruction for their records. Call Shred Wise today to learn more about our Orange County shredding services for retailers, restaurants, and other service-based industries. 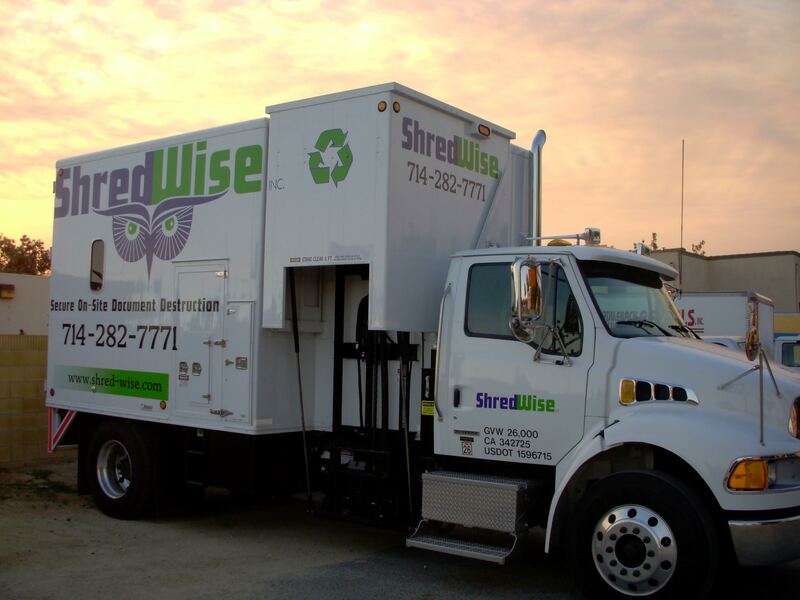 Shred Wise is a family-owned and -operated mobile shredding company that is based in Orange, California. We are licensed, bonded, and insured. Our shredding services meet FACTA, GLB, and all other privacy legislation requirements.